Runners from the 2016 Volkswagen 5km Fun Run in Uitenhage. Volkswagen Group South Africa’s (VWSA) PeoplePavilion in Uitenhage will host its third annual Volkswagen Fun Run on Saturday, 29 April. 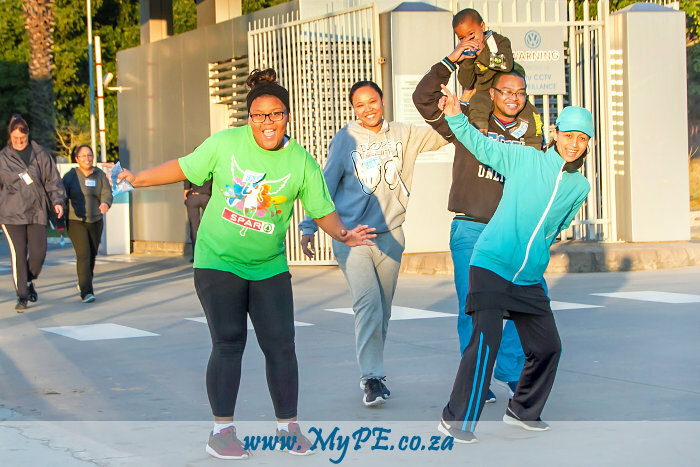 The Volkswagen Fun Run which is now firmly entrenched on the Volkswagen PeoplePavilion sporting calendar is open to all VWSA employees, their loved ones and the public. The race will start at the PeoplePavilion, turn left into Algoa Road, past the Market Square Volkswagen Dealership, into the Volkswagen Manufacturing Plant and then back along the same route to finish at the PeoplePavilion. “This event is just one of many sporting events hosted by the Volkswagen PeoplePavilion. I invite the Nelson Mandela Bay Metro community to join us for this great and fun-filled family event,” said Thomas Schaefer, Chairman and Managing Director: Volkswagen Group South Africa. Registration is R20 per person and is open until Wednesday, 26 April 2017. Registration forms are available at Brian Bands Sports in Port Elizabeth and Brockett Sports in Uitenhage. The first male and female runners will each receive R1 000 prize money. Those that finish in second and third place will receive R500 and R250 respectively.